The INTERMAT is the biggest building trade fair in France and takes place every three years. Blastrac exhibited from the 20th to the 25th of April at the INTERMAT – World of Concrete Europe in Paris. INTERMAT is the biggest building trade fair in France and takes place every three years. That's why Blastrac is always present at this major event. This year was particularly important because that was the first year INTERMAT organized a partnership with the famous World of Concrete, Las Vegas. An area was especially dedicated to the concrete universe. 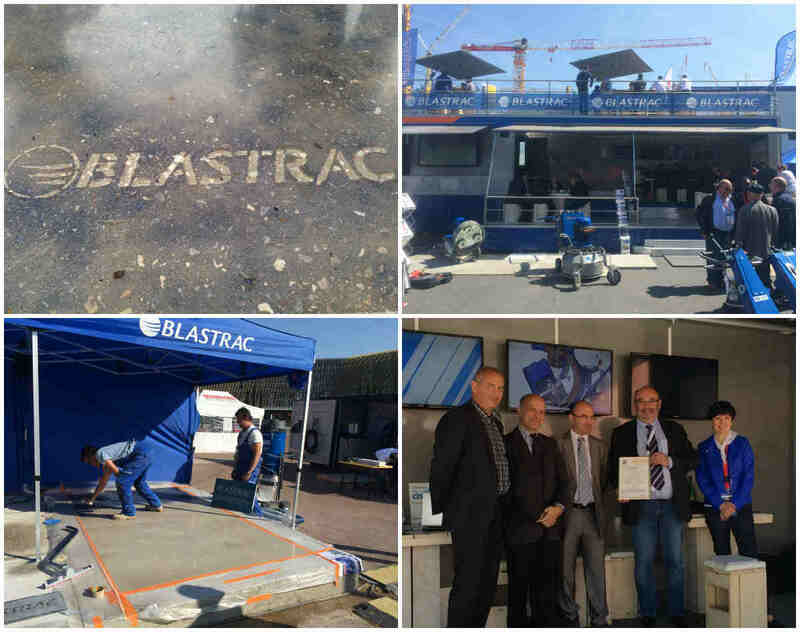 Blastrac had two booths this year: one located in the World of Concrete area in order to make demos of our machines, and one in the outside area with our promo trailer. It was also the opportunity for Blastrac France to receive the AFAQ26000 Certification, a Corporate Social Responsibility standard. This standard shows the efforts Blastrac has put in place in favour of sustainable development. In conclusion, this event was a success thanks to exceptionally sunny weather and thanks to the numerous visitors visiting our two booths throughout the whole week.